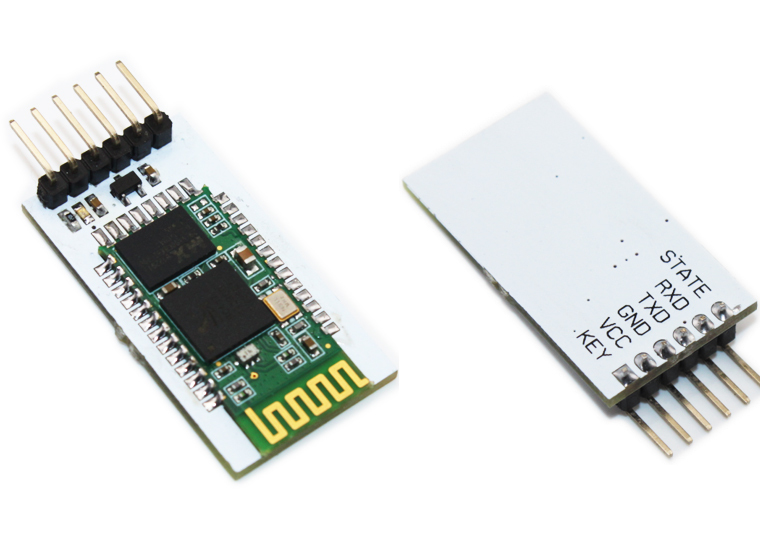 Breakout Board mit Bluetooth Modul HC05 (Master/Slave) . 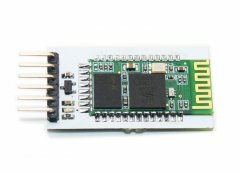 Dieses Breakout macht den Umgang mit dem Bluetooth Modul HC-06 um einiges leichter, Anschlüsse für die serielle Kommunikation sind per Stiftleiste herausgeführt, ein Spannungsstabilistor erweitert den Versorgungsspannungsbereich vo 3.3V - 6V. Note:Be paired must Master devices and Slave devices each other.Master and Master devices, Slave and Slave devices can't paired each other. The HC-06(just suppy slave mode and more easy) Slave mode could paired with PDA, PC etc. Note:Be paired must Master devices and Slave devices each other.Master and Master devices, Slave and Slave devices can't paired each other. The Slave mode could paired with PDA, PC etc. Please visit the Elecfreaks wiki page for more info about this product. It will be appreciated if you can help us improve the documents, add more demo code or tutorials.